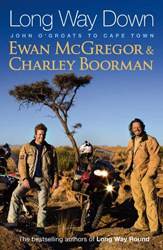 Two guys ride motorcycles 10,000 kilometers from the tip of northern Scotland down to the southern tip of Africa. As you might expect, this is a great 3-month road trip, with accidents, adventures and much to learn. Since it’s the same two celebrity actors who rode motorcycles from London to New York “the long way around” (also a recommended True Film) there’s a lot of good natured fun and horsing around. It’s hard not to like the company of the two personable chaps. In short, this is a buddy flick. 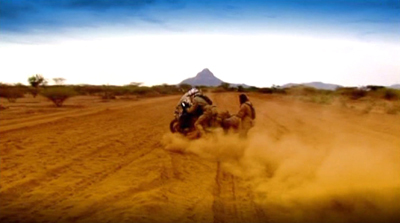 In seven hours they give you an enjoyable and decent orientation to the continent of Africa. I agree, great recommendation. Not quite as good as Long Way Round, but still quite excellent. I hear that they will be having a new adventure, entitled Long Way to Go, in the spring of 2010. Looking forward to more of these great adventures. Love the site and recommendations, one of my new favorites to read.